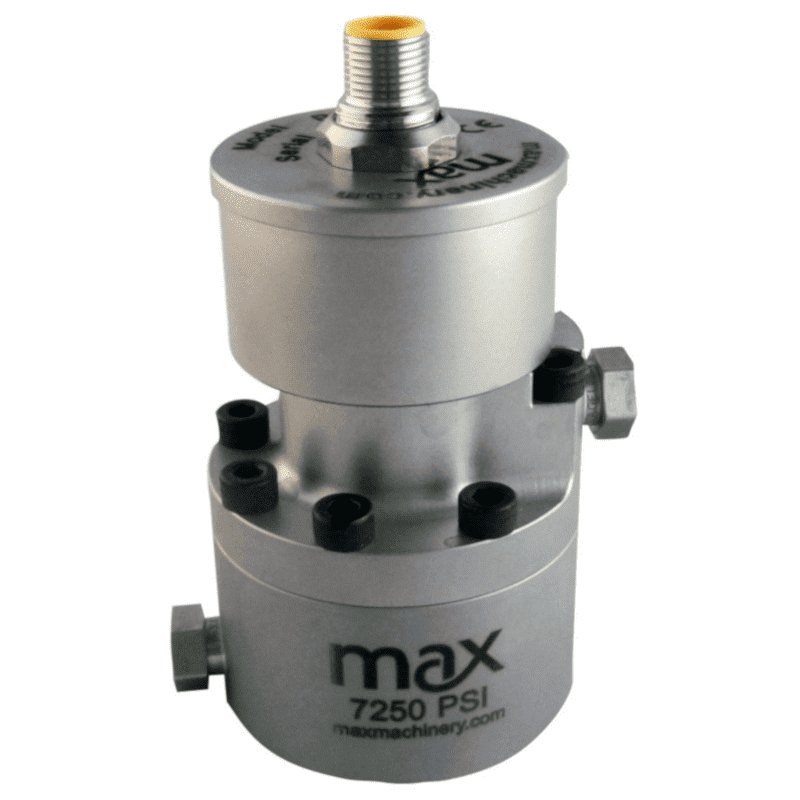 Max Machinery P001 Series Piston Flow Meters work on the positive displacement principle. This principle measures flow based on a fixed amount of pistons, which measure these flowmeters very accurately. The P001 is designed for a very low flow of 0.005 ml per minute. The piston flow meters are suitable for hydrocarbon based liquids and can exhibit very high pressures and temperatures.